Born in 1992, began learning the viola da gamba in young age with Claudia Pasetto in Castelfranco Veneto conservatory. He graduated with highest honours and special prize in Verona consevatory in 2012, with Alberto Rasi. He studied also renaissance lute for eight years with Massimo Lonardi in Venice. In June 2015 he completed his master studies at the Schola Cantorum Basiliensis with distinction, studying with Paolo Pandolfo. 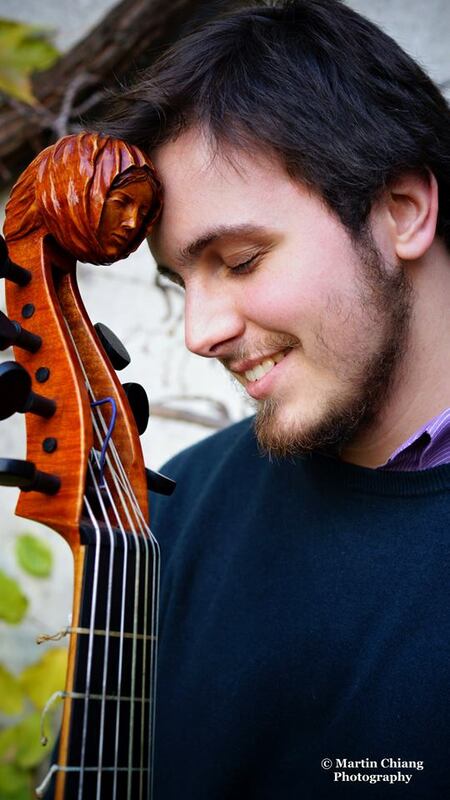 He has attended several viola da gamba masterclasses with Roberto Gini and Vittorio Ghielmi. He plays also the medieval fiddle in the ensemble “La Fonte Musica”, directed by Michele Pasotti, with whom he plays music of the late middle ages, and the double bass in “Abchordis”. Actually he’s attending a second mater program at Schola Cantorum Basiliensis, studying viola da gamba with Paolo Pandolfo and lute with Peter Croton. In July 2015 he was awarded the first prize at the 6. Bach-Abel Wettbewerb in Köthen. Moreover, he was finalist at the 7. Internationaler Telemann Wettbewerb in Magdeburg (2015) and at the international competition “Musica Antiqua” in Bruges (2014). Among the other prizes he was awarded, there are: the italian “Premio Nazionale delle Arti” (2010), as a soloist of ancient instruments, the second prize in “IV Concorso internazionale di viola da gamba Principe Federico Maria Ruspoli” (2012) in Vignanello (Rome), the first prize at the chamber music competition “Maurizio Pratola” (2012) in L’Aquila and the “Romanus Weichlein Preis” with the ensemble “Le Girandole Armoniche” at the International Biber Wettbewerb 2013 in Sankt Florian (Austria). He has several recordings to his credit, with Decca, Naxos and Diastema; he participated to the recording of “Mission”, with Cecilia Bartoli, Diego Fasolis and “I Barocchisti”. Teodoro was awarded the Swiss Government Excellence Scholarship for the academic years 2013-2014 and 2014-2015.